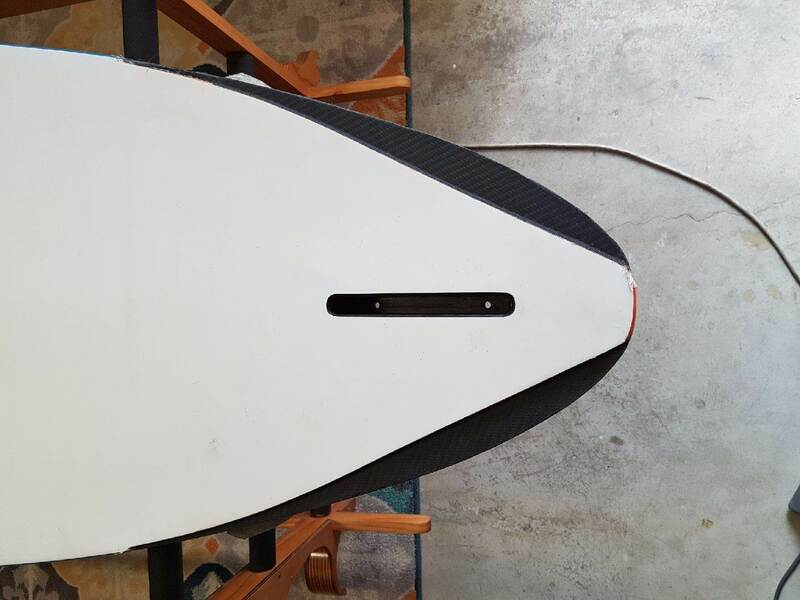 Yeah Mark, but it's sanded along the length so I need to match then rough it with..maybe some 360 400. Decided to fix the awful tail of the 2016 iso, according to Dk Peterman's instructions. Only difference was, I used balsa instead of foam. Going ok so far. 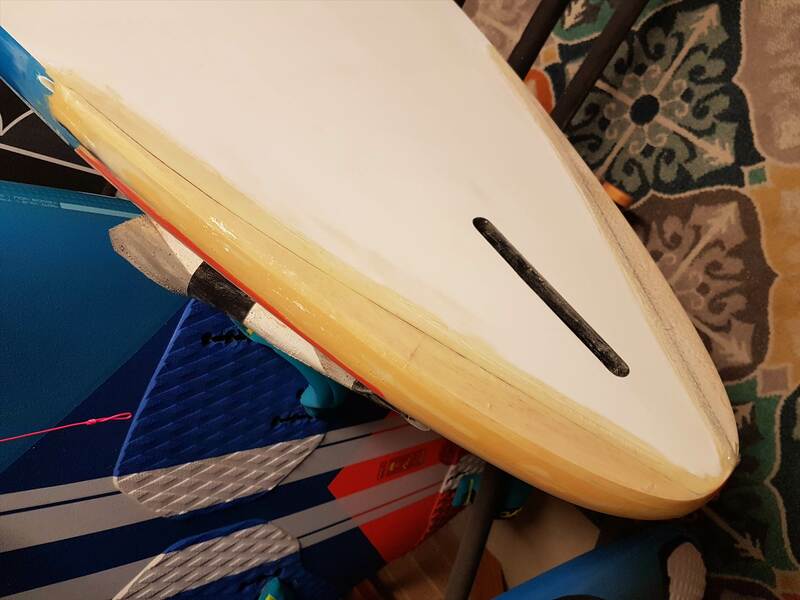 I have not done that model AND I use 2K on all repairs for other people....... but all matte white finish Starboards I've done a little repair on for myself, the matte white is verrryyyyy close to British Paints "Easy Spray Pint″" flat white. Many can't be seen even with just a dodgy squirt and no attempt to blend. Thanks Mark, sprayed today and can't see the difference in colour at all. Used the 2k flat white. I changed my mind about the cut outs halfway through the job. 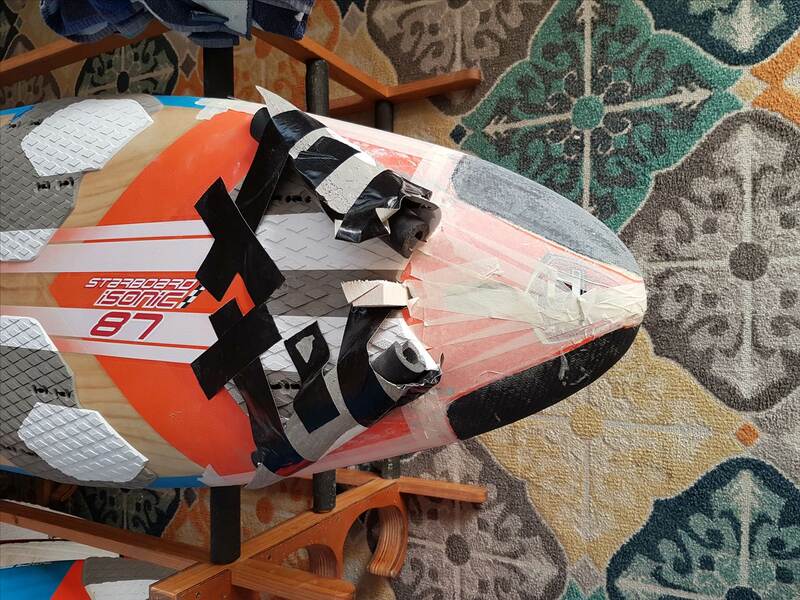 I had originally intended to leave the 1cm cut'out, but after discussing with a friend, the board's tendency to "crab" around the gybe, the decision was made to remove it completely. 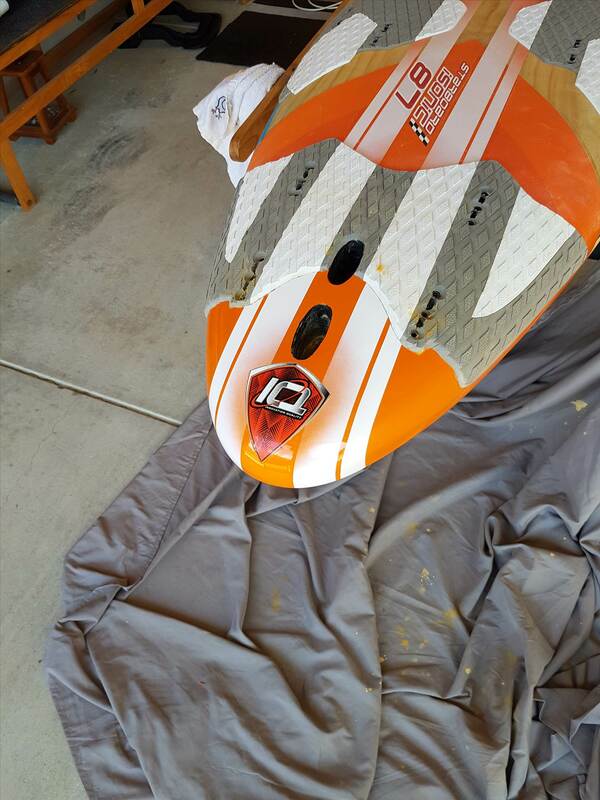 Stripes for the 2017 look, couple of clear coats and just about done. Still got to fix some blue around the edges..